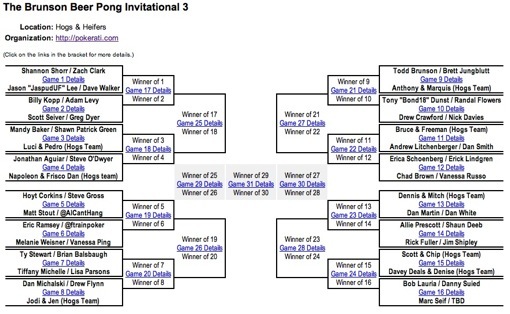 The Doyle Brunson Beer Pong Invitational is getting as many entrants and prestige these days as a WSOP Circuit event. View the full bracket above. RawVegas.tv will be on hand to cover it. Check out last year’s edition here. <333 WCP, ty for the confidence! i'm rusty but gonna do some backyard practice beforehand.